Koloss. A fitting name for our #2 metal record of the year, given its unbelievably colossal nature. very seriously most of the time, Koloss is an incredibly serious record. On a first pass or surface level it seems they’ve taken a step back from other recent works in the “extreme” nature of their music. The true genius of Koloss, however, really lies in the repeated listens when you can pinpoint all the subtleties, such as the evolving riffage of “Demiurge” or the intricate song structures and seeming simplification of complex musical passages. 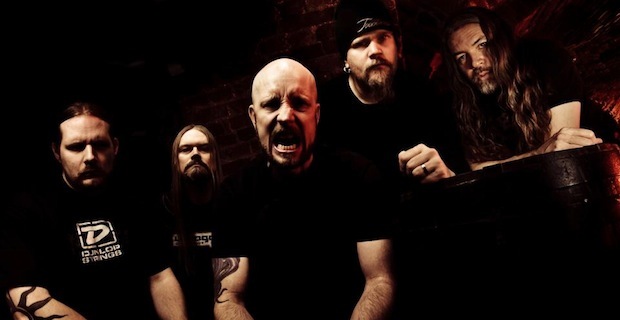 In typical Meshuggah fashion, Koloss seems to be carving another new path through the metal world, this time in the direction of veiled simplicity in the face of the abrasive, hyper technical styles of many modern metal bands. Though most might not consider Koloss the best Meshuggah record to date, it certainly holds its own against their catalog–and is much deserving of the #2 spot of the year.